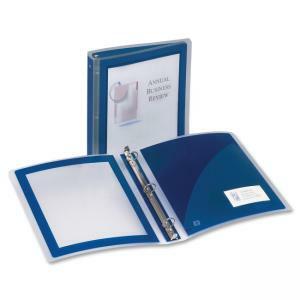 Monarch Avery Flexi-View Ring Binder - 11\" x 8.50\" - 1.50\"
Sheet Size: 11" x 8.50"
Flexible presentation binder with round rings features a stylish graphic border on the cover that helps your work look professional and neat. Clear overlay allows customization both outside and inside. Lightweight design allows easy carrying. PVC-free, nonstick poly material prevents ink and toner transfer. Three metal round rings are mounted on the spine to hold a thick stack of paper. 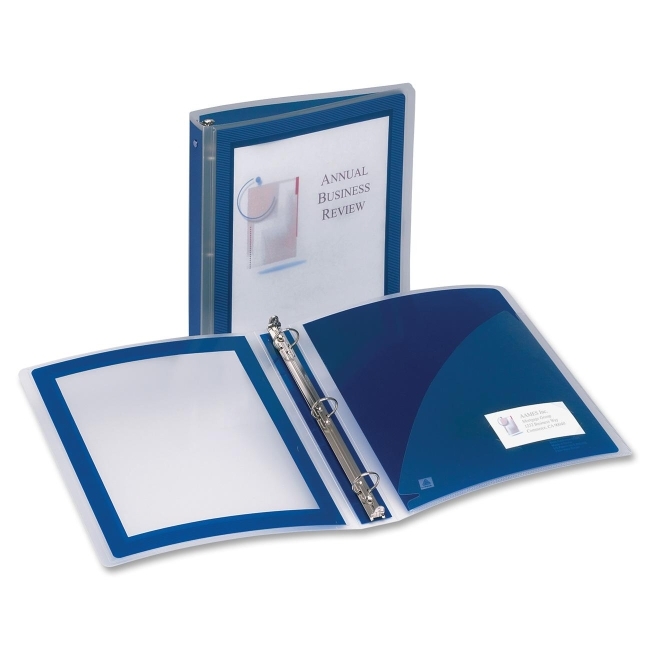 1-1/2" ring capacity accommodates approximately 275 letter-size sheets. Binder also features exposed rivets.